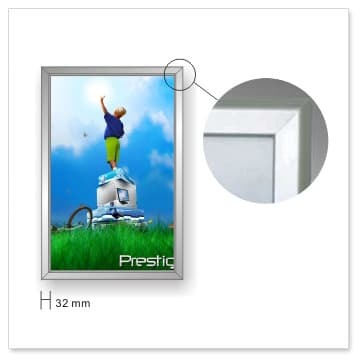 With these aluminum snap poster holders, you can change your posters as often as you like, it's a cheap and effective way to display any advertising poster. Sturdy aluminium extrusion with a matte finish . Snap open, change poster in seconds.